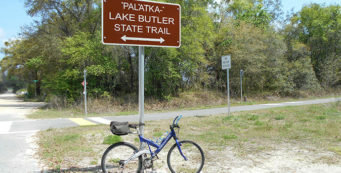 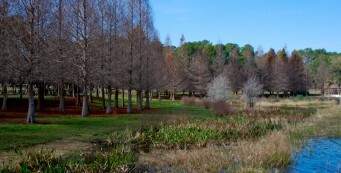 Bike Paths in Florida | Florida Hikes! 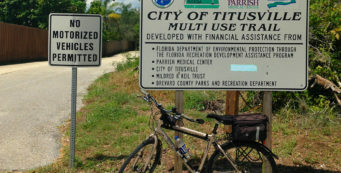 With the number of paved bike paths around Florida, it’s hard to believe that it’s been just a little more than 25 years since the very first one opened between Tallahassee and St. Marks in 1988. 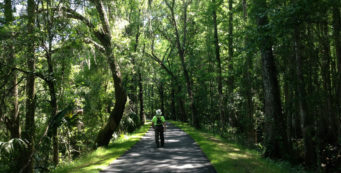 With John’s extensive cycling background, it’s our mission to explore them all, eventually. 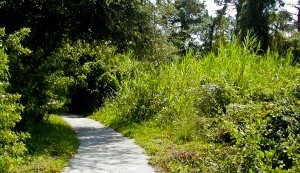 We’ll be sharing ride reports here and building full trail details over time. 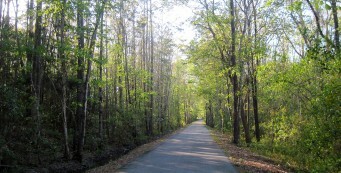 Take advantage of the cool breeze a bike ride provides in our hot summer months, and enjoy! 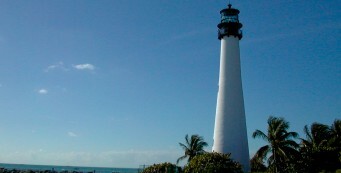 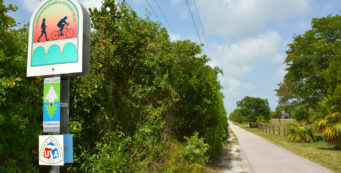 Florida Keys Overseas Heritage Trail- The Florida Keys Overseas Heritage Trail is a 109-mile trail the length of the Florida Keys, a island-hopping slice of tropical paradise: part bike path, part road ride. 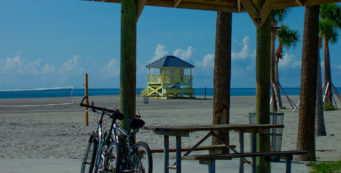 Frank Brown Park- The primary recreational complex in Panama City Beach - with aquatic center and ballfields - Frank Brown Park also provides access to biking on Gayle's Trails. 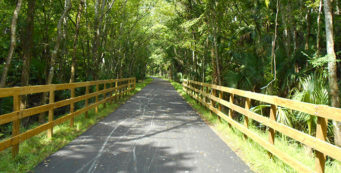 Grassy Key Trail- Part of the Overseas Heritage Trail and almost entirely inside Curry Hammock State Park, the Grassy Key Trail is a 4.4 mile linear paved path under the power lines between Marathon and Grassy Key. 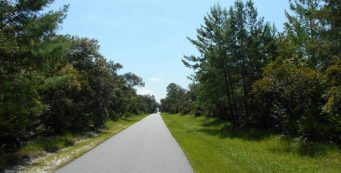 Lake Okeechobee Scenic Trail- An overlay on the Florida Trail around Lake Okeechobee, the Lake Okeechobee Scenic Trail provides a mostly paved cycling and walking route around the second largest lake entirely within the borders of the United States. 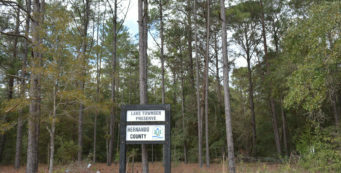 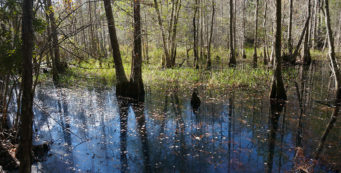 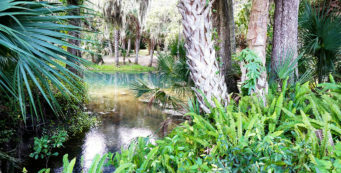 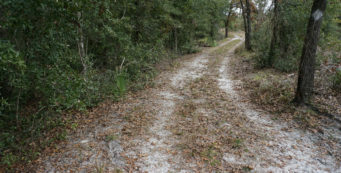 Lake Townsen Preserve- Offering access to the Withlacoochee River and the Withlacoochee State Trail while protecting a swath of environmentally sensitive lands west of Nobleton, Lake Townsen Preserve is the gateway to miles of trails. 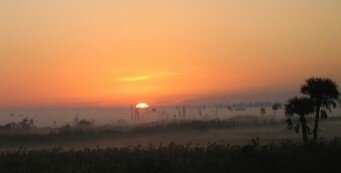 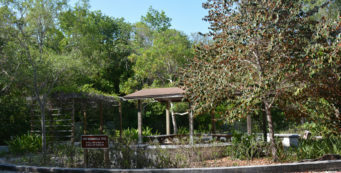 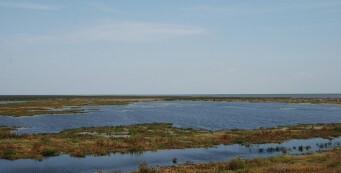 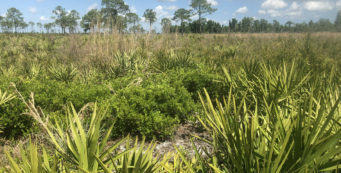 Pine Island Ridge Natural Area- A ridgetop once surrounded by the grassy waters of the Everglades is the highest natural landform in Broward County, protected at Pine Island Ridge Natural Area in Davie. 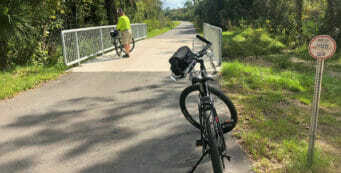 Seminole Wekiva Trail C2C- John bikes the next segment west on the Coast to Coast Connector, the Seminole Wekiva Trail. 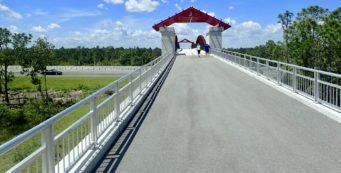 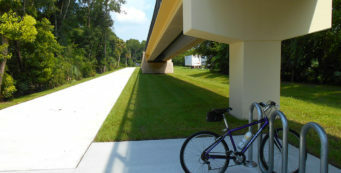 This well-established bike path connects Seminole County communities. 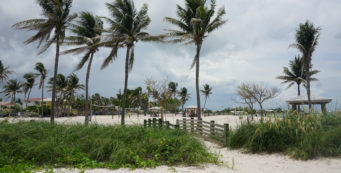 Sombrero Beach- At the southern tip of Marathon, Sombrero Beach offers beachgoers a natural strand and an easy beach walk within sight of the Keys' largest lighthouse. 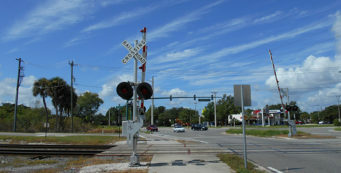 The Trans-Florida Central Railroad Trail- If you've seen the prominent Trans-Florida Central Railroad Trail over Interstate 95 at Fellsmere, you've probably wondered about it. 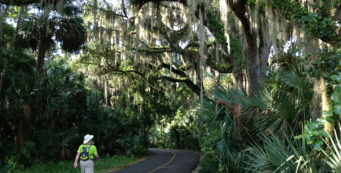 Here's what we found when we stopped for a ride. 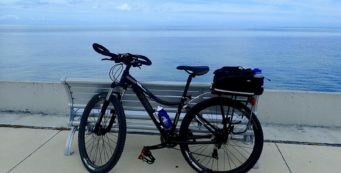 Florida Keys Overseas Heritage Trail (12/5/2018)- The Florida Keys Overseas Heritage Trail is a 109-mile trail the length of the Florida Keys, a island-hopping slice of tropical paradise: part bike path, part road ride. 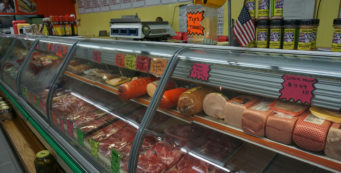 Meaty Mims on the Coast to Coast Trail (5/21/2018)- A serendipitous stop during a bike ride on the Coast to Coast Trail in Mims leads to a tasty lunch at the Family Meat Market, a local institution just a block from the trail. 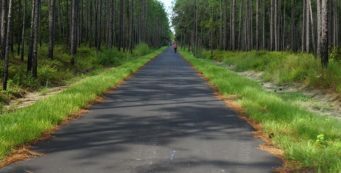 C2C expands in North Brevard (10/4/2017)- After more than two years under construction, the newest portion of the Coast-to-Coast Trail opened without fanfare through North Titusville and Mims in September 2017. 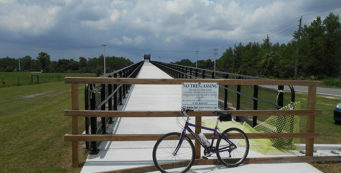 I rode it on Labor Day to check it out. 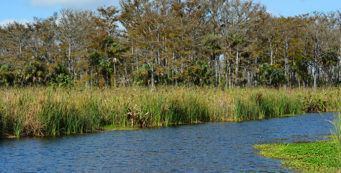 Taylor Creek STA (12/2/2015)- Encompassing the ancient shoreline of Taylor Creek and man-made marshes, this wetlands park is a gem for birding and wildlife watching just north of Okeechobee. 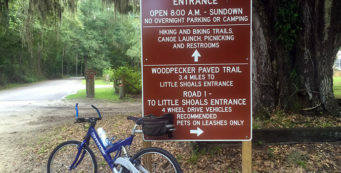 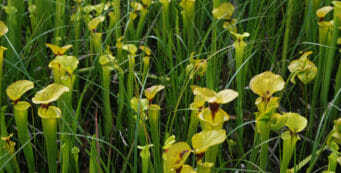 Woodpecker Trail (8/30/2015)- The Woodpecker Trail at Big Shoals State Park provides a 7-mile wildlife-rich round trip ride, but watch out for those puddles! 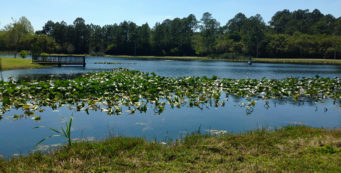 John plunges in anyway to get the story. 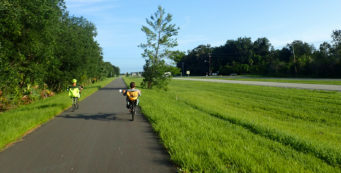 South on the Edgewater Bike Path (8/4/2015)- How far does the new Edgewater Bike Path go south of SR 442 in Edgewater along Cow Creek Road? 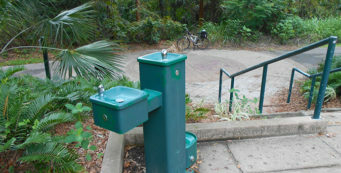 John hopped on his bike to find out.